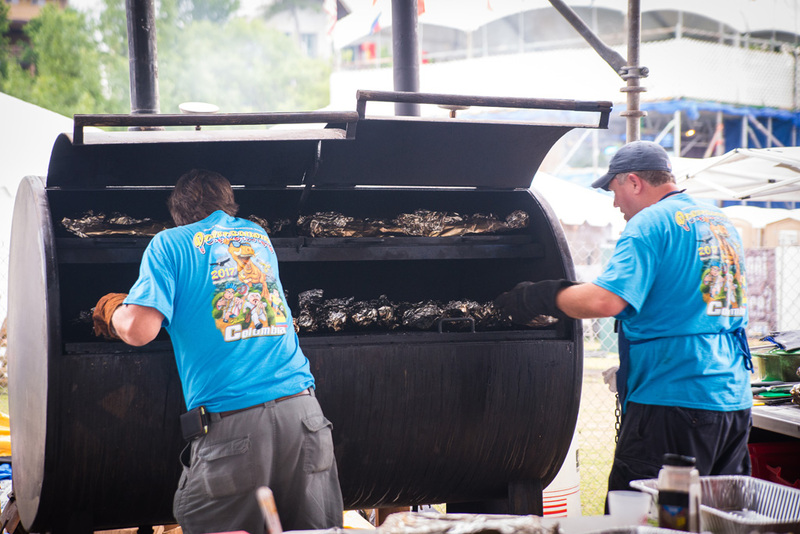 I had the honor of attending The World Championship Barbecue Cooking Contest in Memphis, Tennessee this past May. 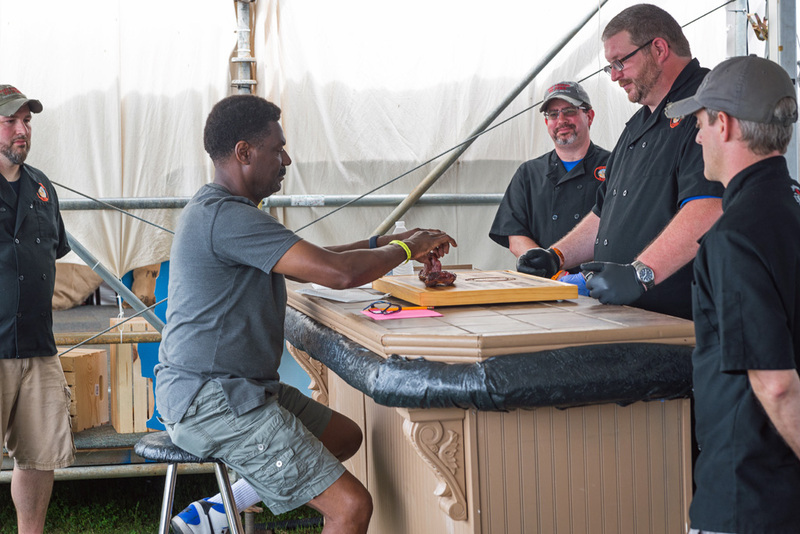 The pork ladened and smoke-filled weekend boasted over 250 competitors and is known as the America’s most prestigious barbecue competition. 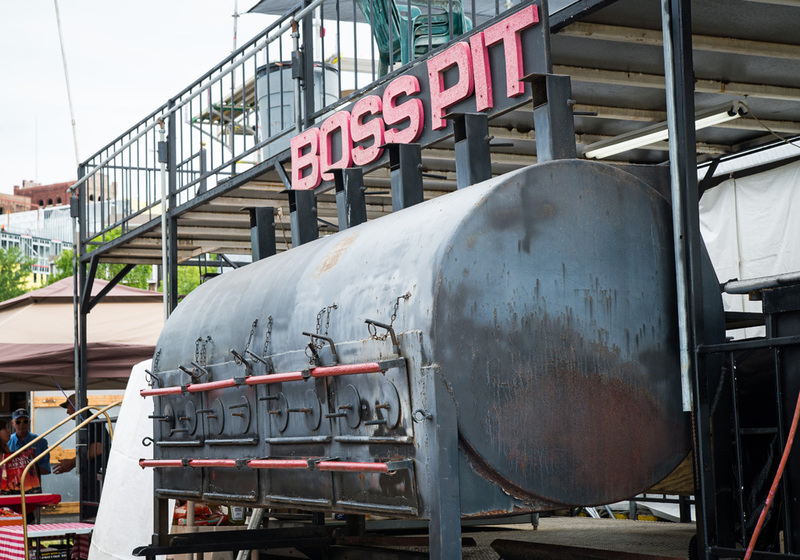 When planning our Memphis getaway this spring, there was no question in my mind that I needed to visit during the weekend of the World Championship Barbecue Cooking Contest. I had seen bits of the competition on the Food Network and as a BBQ lover and cooking novice, I thought it would be an awesome experience. My instincts were right, attending the Memphis in May event was a priceless experience. Even after doing a ton of research I was STILL 100% blown away by this “contest.” In the voice of Harry Carry, HOLY COW! Rows upon rows of BBQ teams were lined up in Tom Lee Park where the air was thick with hickory smoke. For whatever reason, I was not expecting the size – the grandness – of the event. Several teams had elaborate TWO STORY structures. All I can say is, it was impressive. It was an experience. It was an awesome and tasty time. One key item to note, this is not a public tasting or festival, it is a contest and the BBQ is not sold by the contestants. Knowing this, I arranged to meet with several contestants in advance. Both Porkosaurus and Too Sauced to Pork were great hosts. I cannot thank them enough for making Charlie and me welcome in their pits. If you are planning on going Thursday night is mainly for friends and family. Friday is when the serious cooking starts and Friday night is a huge party. DJ’s spin tunes as guests eat, drink and party into the night. Saturday is reserved for judging. It’s a serious day with teams focused on winning. The contest closes out with the awards ceremony. It was a lot of pork and all of it was amazing. We were very lucky to be fed all weekend by many of the contestants. The pork loin that I ate from Too Sauced to Pork was one of the juiciest pieces of pork loin I have ever eaten. Period. 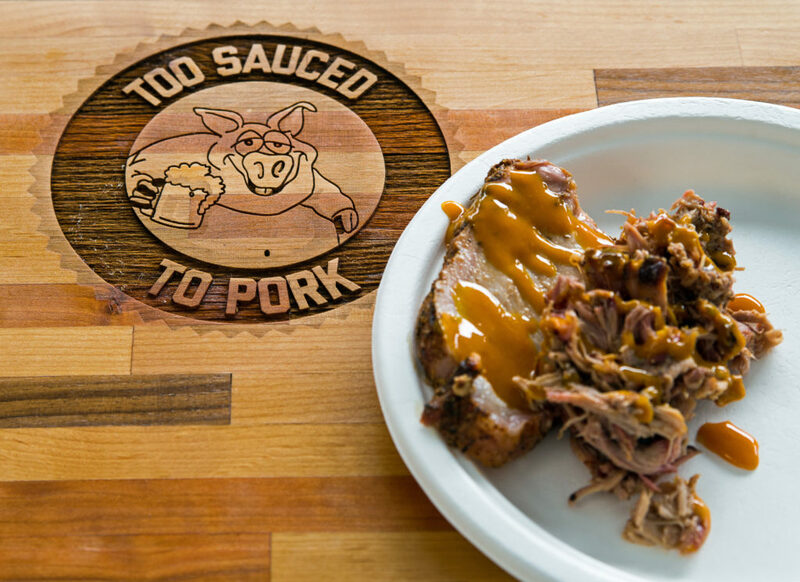 Topped with pulled pork – okay, yes. That was amazing. Everything that I ate from Porkosaurus was awesome too. But, there was this mac n’ cheese that was crazy cheesy noodle goodness. 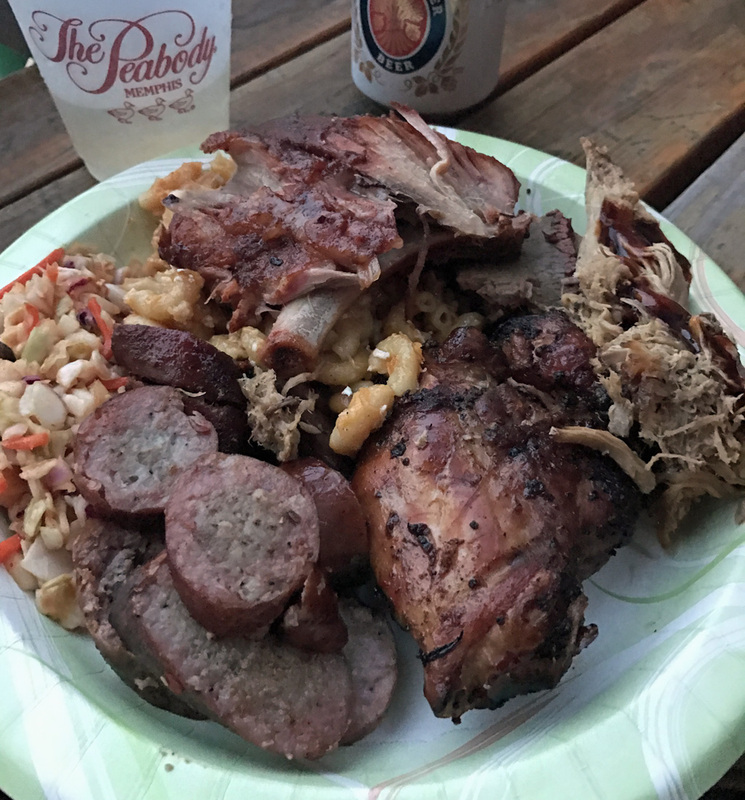 I know I should talk about the BBQ, but I still dream about that mac n’ cheese. And thinking about now makes my mouth water. Competition BBQ opened my eyes and tastes buds to a whole new level of BBQ flavors and textures. And I now know what amazing BBQ tastes like. When we arrived at the contest on Sunday it was quiet, people had set up viewing areas and it was judging time. 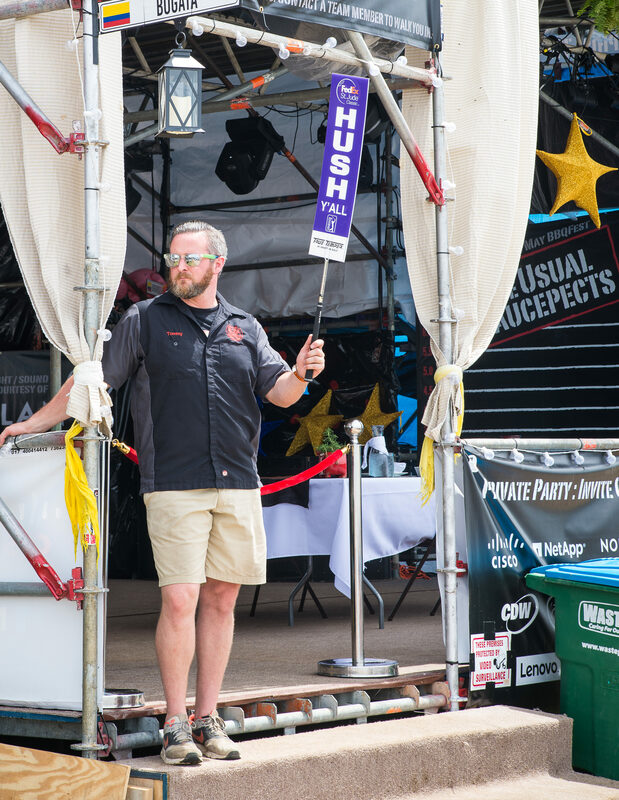 This is a barbecue contest and the stakes are high. 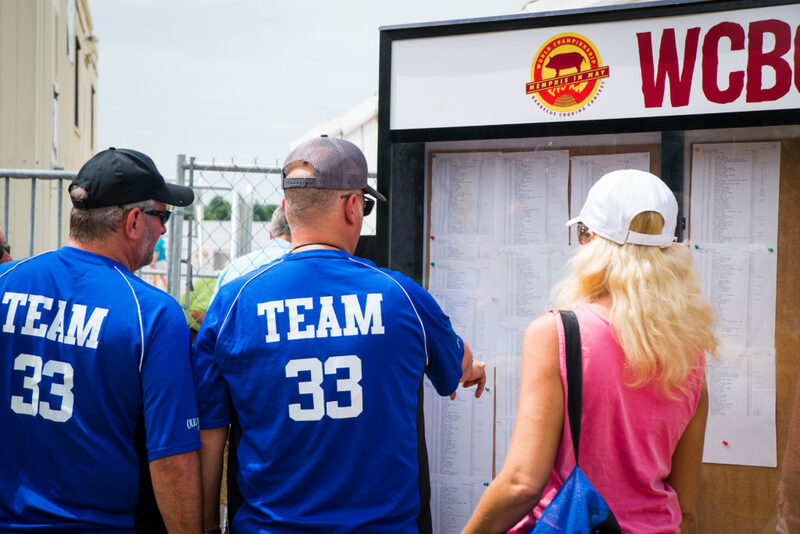 Two hundred thirty-five barbecue competitors from 22 states and five foreign countries come to compete and it’s time for pit masters to show off their skills. Serious Eats has an in-depth article on the judging of the competition. I don’t agree with all the perspectives the author James Boo has but, the article does give you a good idea of what goes into judging and what judges look for. The current trend is sticky and sweet ribs. I will admit, I like sticky sweet ribs as much as I like savory rubbed ribs with no sugar. I guess I’m an equal opportunity rib lover. 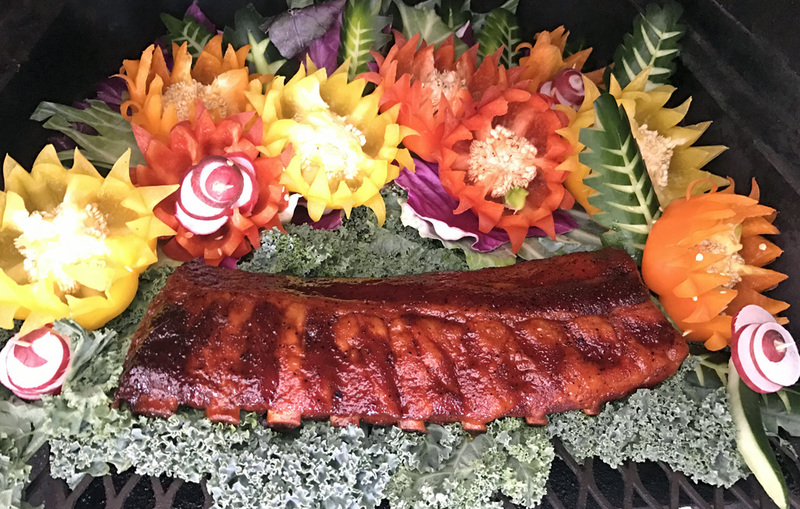 Competition ribs are a sight to be seen. They are beautifully presented and are decorated with flair in the form of vegetables. The ribs above from Too Sauced to Pork placed a noble 25 out of 112. 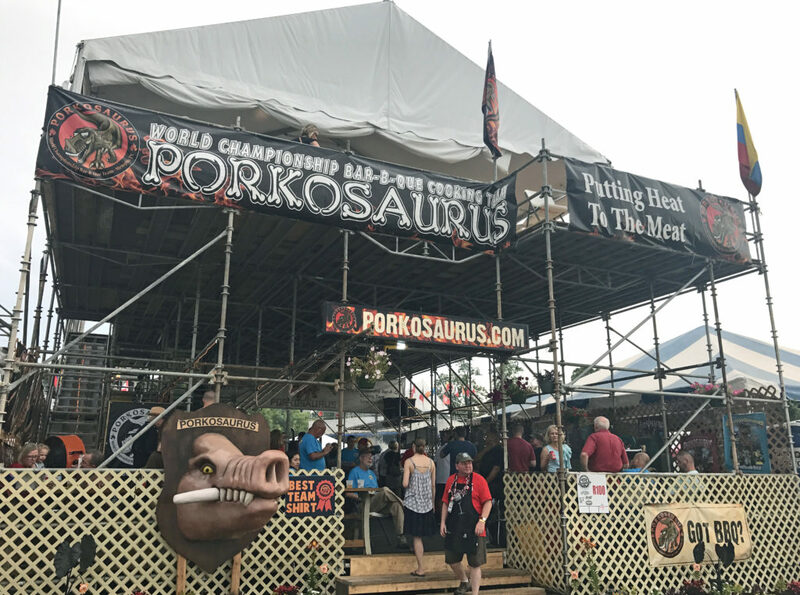 The World Championship Barbecue Cooking Contest in Memphis has one common theme, a passion for pork. 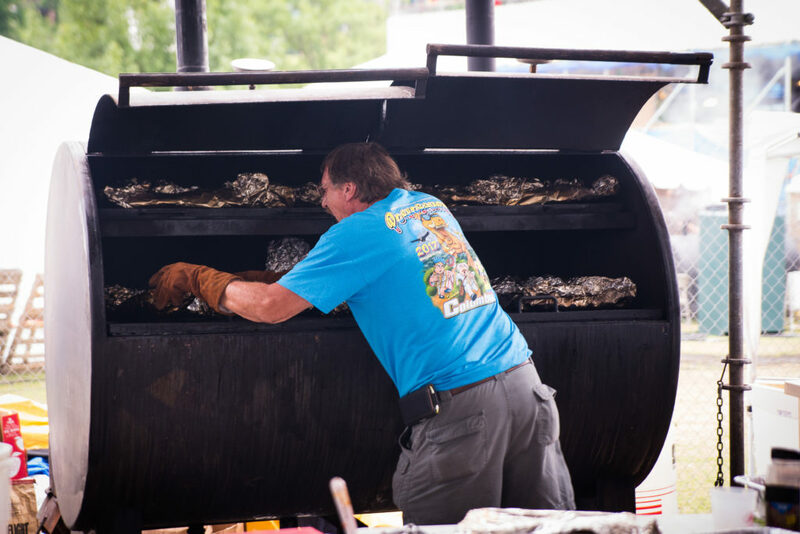 When talking with a Champion pitmasters or a Patio Porker, every person had a passion for barbecue. I’m so grateful to have had the experience. My stay in Memphis was partially sponsored by the Memphis Travel, including entry into the World Championship Barbecue Cooking Contest. All opinions are my own. Photo Credit to Charlie Ferreira for many of this posts photos (@askchucky).